Are you facing problems in opening and accessing data of MS Access Database MDB file? We have the best possible solutions that will fade away all your worries about losing MDB file data. Let’s know more about MDB files first before moving to the methods to open and access MDB file. MDB file is a default data file generated by MS Access 2003 and earlier versions which stands for Microsoft Database. The new file format is ACCDB which is generated by the new version of MS Access. These file formats contain complete database queries, tables, functions, etc. that can be linked with other file formats and store data from files like HTML and XML and applications such as SharePoint and Excel. You might also come across another file formats named as LDB. It is a temporary lock file created by MS Access alongside a shared database. Using MS Excel to open MDB files is one of the common solution opted by many MS Access users who face difficulty in opening MDB files when MS Access stops working. 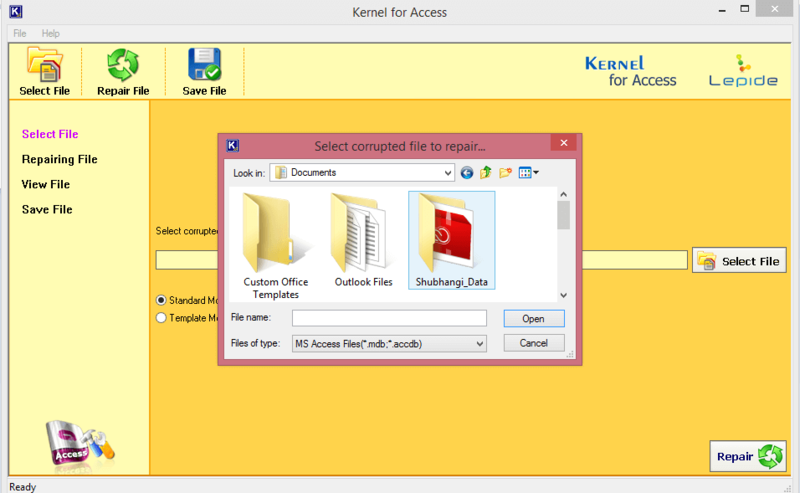 You can simply import Access Database file in MS Excel which gets saved to spreadsheet format. Step 2: Look for Data tab on the main ribbon. 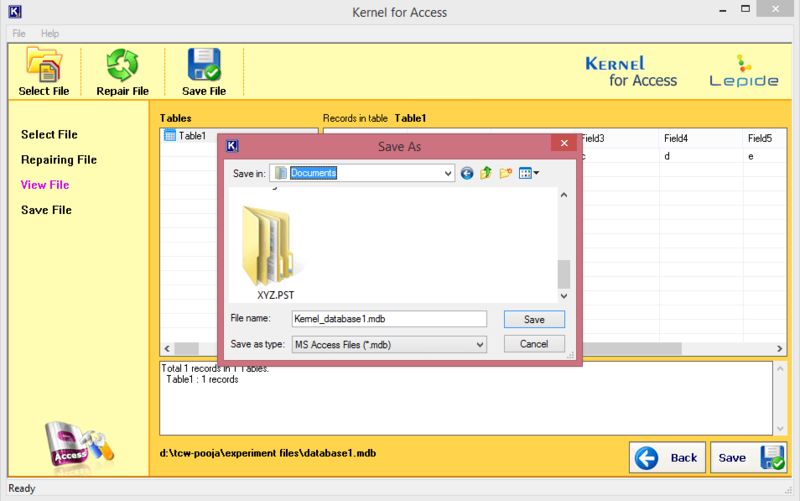 Step 3: Select Access Data icon in the Get External Data section. Step 4: Browse for MDB file and click Open, select the table from the database which you desire to add in Excel and click OK. Yes, Notepad application has all the abilities to open any type of text file documents and files. If the MDB file content is text, then you can easily use the application to open MDB file. Although the manual methods work successfully to open MDB files, you can still fail to open the MDB file. There might be chances that your MDB file is corrupt. So, to fix the issue you must opt for a professional solution that deals in recovering MDB file data hassle-free. We suggest the most trusted and recommended third-party solution i.e. 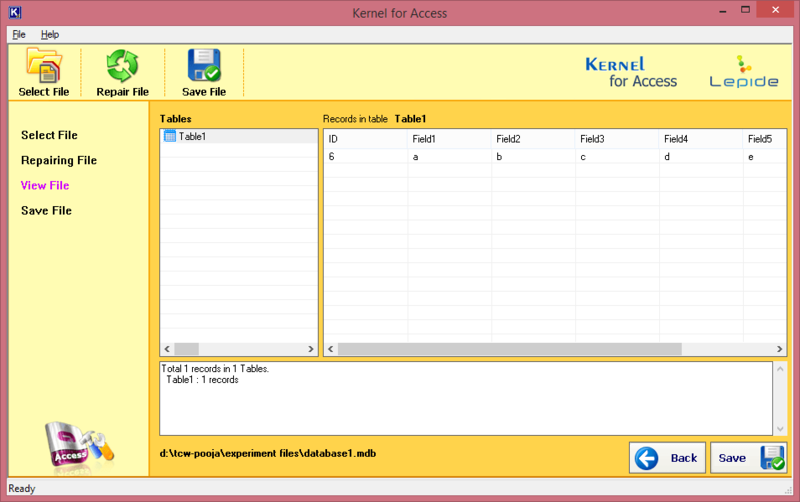 Kernel for Access Database Repair. The Access database repair software retrieves complete MDB and ACCDB files from corrupt databases and helps to restore the original structure of the data securely. How to Open Corrupt MDB File? 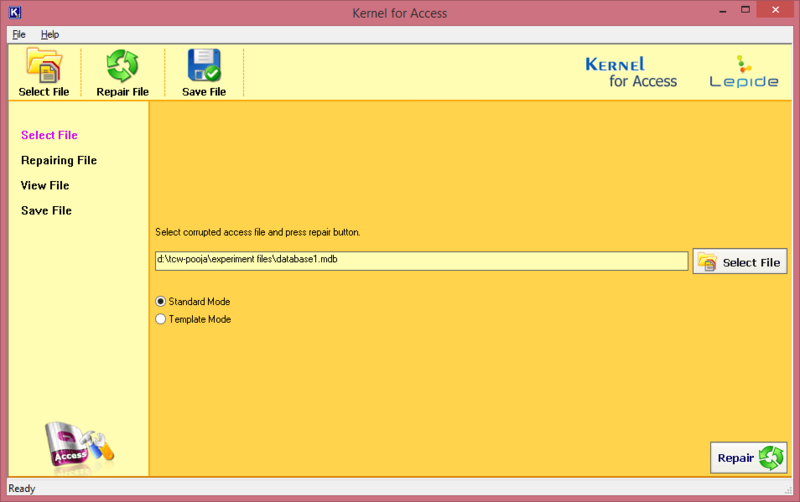 Step 1: Simply, download, install and launch Kernel for Access Database Recovery and select the corrupted file that you wish to repair and recover. Then, click Open. Step 2: Choose the recovery mode and click Repair button to move ahead. Step 3: View and analyze the complete recovered MDB file content, click the Save button once done. Step 4: Choose a saving location and click Save within the Save As window. MDB file is an important database for MS Access users, whose corruption could affect your productivity badly. Hence, we strongly advise you to take help of the third-party tool if you’re facing serious corruption issues with your MDB file. It is one of the best and reliable solutions that will surely help you to prevent Access database corruptions and recover complete data at ease.